We should always be prepared for a case of lost or stolen passport. As we travel around the world for business or pleasure, we have to assume that losing a passport is inevitable and can occur. From a risk stand point, the more we travel to places where a passport is required, the risk of the passport being stolen or lost also increases. As you know, the international travel laws started to change since September 11, 2001 and continue to become more stringent. More countries are now requiring passports and visas for entry, although this point is somewhat misleading. Let me explain, as North Americans are now required to use a passport to enter the United States, Canada or Mexico as part of a border control to fight terrorism , Europe has been consolidating its borders for sometime now and no longer is a passport required to travel within Europe. Therefore, as we use our passports more frequently, and, as passports continue to be in high demand more than ever, both by casual travelers and the terrorists, the risks increase in some places. Replacing a lost or stolen passport has also become more stringent to make sure individuals are who they say they are and, they are eligible to own a passport. Furthermore, governments are now much more interested in knowing what happened to the lost or stolen passports. If these passports are not tracked, they could potentially be used for illegal entry into countries for various reasons, including but limited to acts of terrorism. Now, if you don’t want your name to appear in a list of hijackers and terrorists, you must report a lost or stolen passport within a reasonable period of time after you discover the passport is no longer in your possession. I want to stress again, if you ever lose your passport, instead of searching for it forever and assuming that one day you will recover your lost passport, report it to the government immediately. Your lost or stolen passport can be replaced with just a few dollars, but you may be in trouble for a long time if you don’t because of its misuse. Now, you may ask, how long after I lose my passport should I report it to the government agency, and the answer is immediately. If you know for sure that you left it at a known location such as a restaurant or office, go to that place immediately, and report it lost if you don’t find it there. Report it both to your local police department and the State Department. To report a lost or stolen American passport to the US Department of State, please fill out the form DS-64. In order to properly fill out the form DS-64, you will need as much information about your lost or stolen passport as possible such as the passport number, exact name on the passport and other personal information such a hair or eyes, issuance date, issuance location, and any foreign visas on its pages. No one knows all these details unless you have a copy of your passport stored safely somewhere. Therefore, if you haven’t done so yet, please take a copy of the important pages of your passport, and keep them in safe place. The identity theft KAOS prevention system on this web site teaches you how to protect your identity. After you complete and submit the form DS-64 to report your lost or stolen passport, you need to apply in person to get a new one. To apply for a new replacement passport, you need to fill out the form DS-11. Keep a copy of the DS-64 form that you submitted to report your lost or stolen passport. Apply for a new replacement passport in person, along with a completed DS-11 and the copy of the submitted DS-64 form. If you need to speak with someone, call the State Department toll free at: 1-877-487-2778 (TTY 1-888-874-7793). Operators are available 7 a.m. to midnight, ET, Monday-Friday, excluding Federal holidays. Find the nearest Passport Acceptable Facility using a ZIP Code. -For each traveler in your group, take copies of the passport, birth certificate and marriage certificate during your trip. Even if you don't travel, it's a good idea to have copies of major documents handy at home, stored securely, just in case you lose them. As you report your lost or stolen passport, and apply for a replacement one, you’ll need some other personal documents to identify and authenticate yourself to the authorities, otherwise, how would they know you are who you say you are. -While traveling, store the copies separate from the originals. This will ensure you don't lose all documents at the same time and can recover much quickly. -Obtain and keep phone numbers and the address of your embassy or consulate for the country to which you plan to travel. 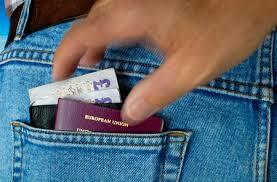 It's also a good idea to have the company phone numbers of the credit cards you carry with you. Learn as much as you can about the country you are traveling to; for example know about their culture, customs, history and recent news of any street protests, bombings, and terrorism involvement. Although I know and preach often that we can’t eliminate risks completely, I often change my travel plans due to any recent disturbing news about the country I planned to travel to. At least I attempt to reduce my risk and increase my chances of survival. As I have said in other articles, passports from certain countries are very valuable in the black markets of other countries where its people want to leave for a better life at any price, and thus are willing to pay for whatever the cost. You can learn a few safety tips at the US Department of State’s web site. -Upon discovery of stolen or lost passport, immediately notify the embassy or the State Department and report details of the incident and inquire on steps to get you a new passport. Do this quickly and as soon as you find out you lost your passport for 2 reasons; first, you don’t want someone else to use your passport and commit a crime in your name, and second, the process may take a while, so if you need a new passport fairly quickly, get the process started right away. This page was dedicated to reporting and replacing a lost or stolen passport, however, below are some additional information for new and renewal passports. To learn about how to apply for a new passport, visit the First Time page of the US Department of State. And to renew an expired or soon to be expired passport,visit the Passport Renewal page of the US State Department. Also, don't neglect expired passports which can also cause trouble especially if they have not been cancelled through a replacement passport. Read this article about expired passports. 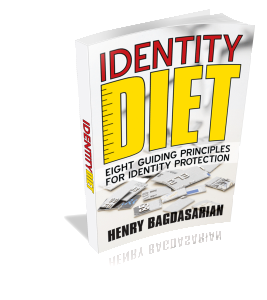 Learn about Identity Diet after reading about "lost or stolen passport".